2001. By Richard M. DeGraaf and Mariko Yamasaki. 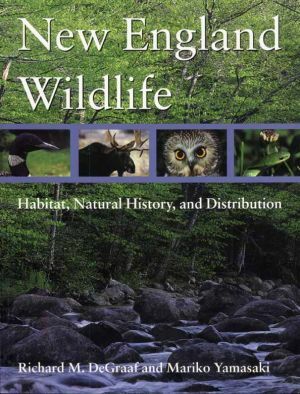 An essential reference guide to the natural histories and distributions of more than 330 terrestrial and aquatic species in New England. Land managers and naturalists, as well as birders, walkers, nature lovers, residents and visitors to the region should consider this essential reading. Includes many illustrations and range maps, along with much other useful inmformation. Softcover. 482 pp.